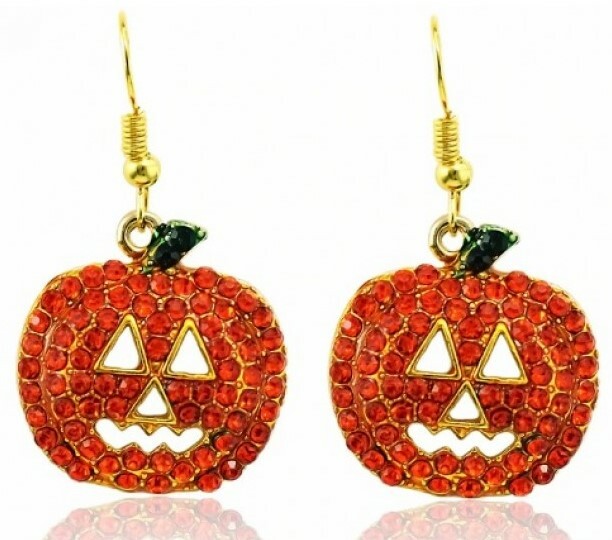 You will receive 9 Womens Pumpkin Charm Halloween Earrings. 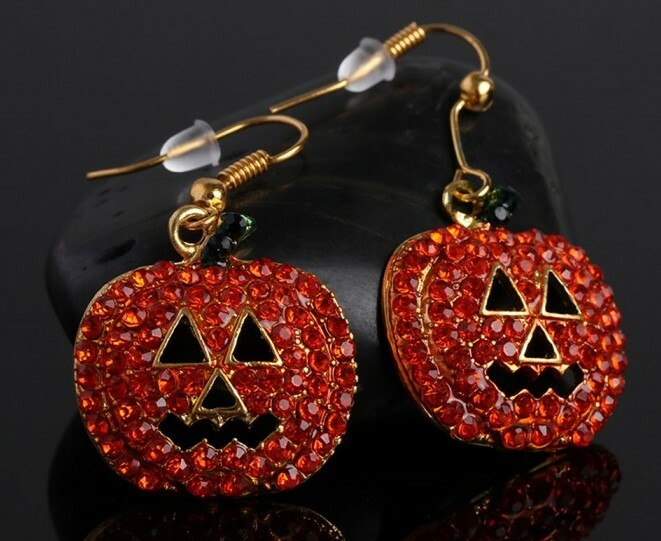 Ladies earrings. 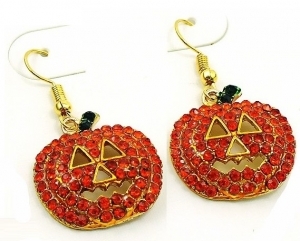 A gold base colour that features an orange/green pumpkin charm. 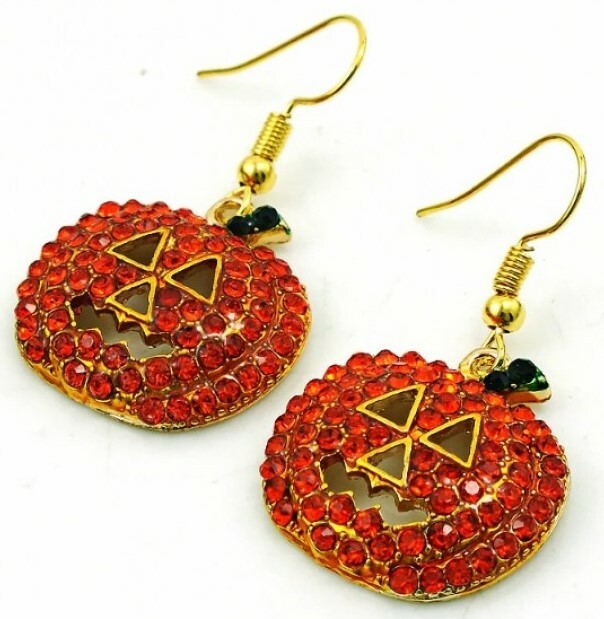 Perfect costume jewellery for Halloween. Hook closure.